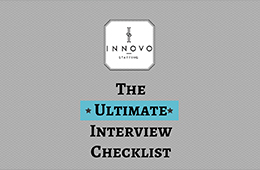 A checklist covering all of the items you need to remember before your next interview. Be sure to sign up for our newsletter Innovo Insights here. Select your downloads by clicking on the file formats below.